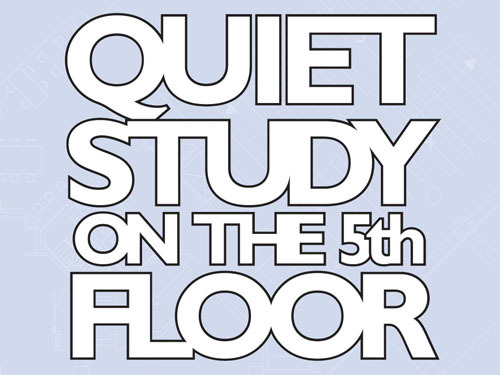 With finals approaching, we would like to remind students that the entire 5th floor of the Georgia State University Library is a designated quiet study area. Absolutely no noise or conversation is permitted there. We understand that traffic on the first and second floors can make it difficult to work sometimes. So if you need quiet, head on up to 5! If you are studying on the 5th floor and someone near you is too loud, feel free to remind them it is a quiet study area. You can point to the many posters and signs hanging on that floor, direct them to our Noise Policy, or call the Research Support Desk for assistance at 404.413.2800.